Race the colorful pieces to the end of the vibrant beaded road with this classic First Bead Maze by Melissa & Doug! 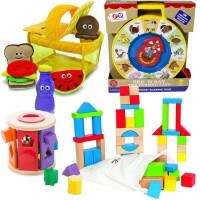 Let's get down to building with Toolbox Fill and Spill by Melissa & Doug! 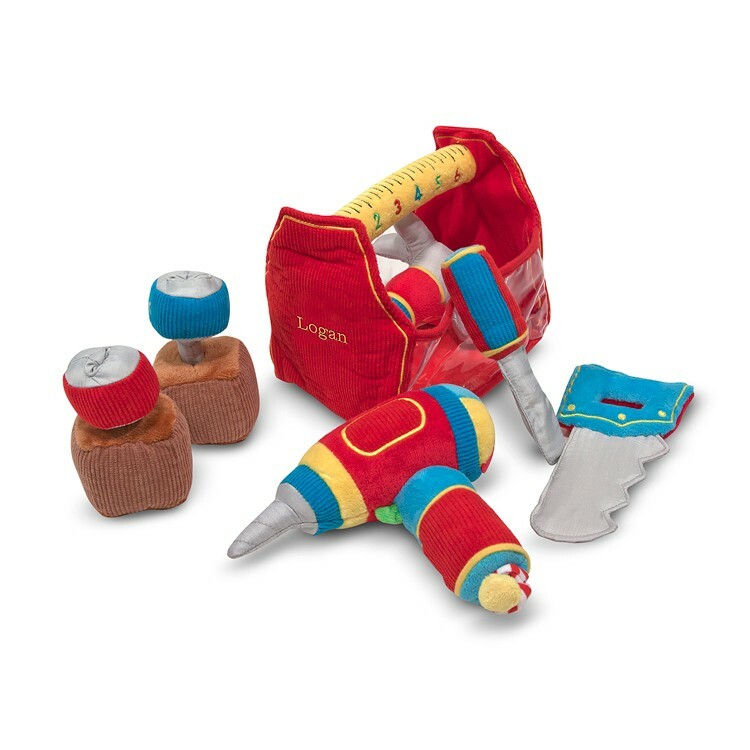 The toddler soft toy tool set comes with all the tools any little worker needs, and they're all made of soft plush. 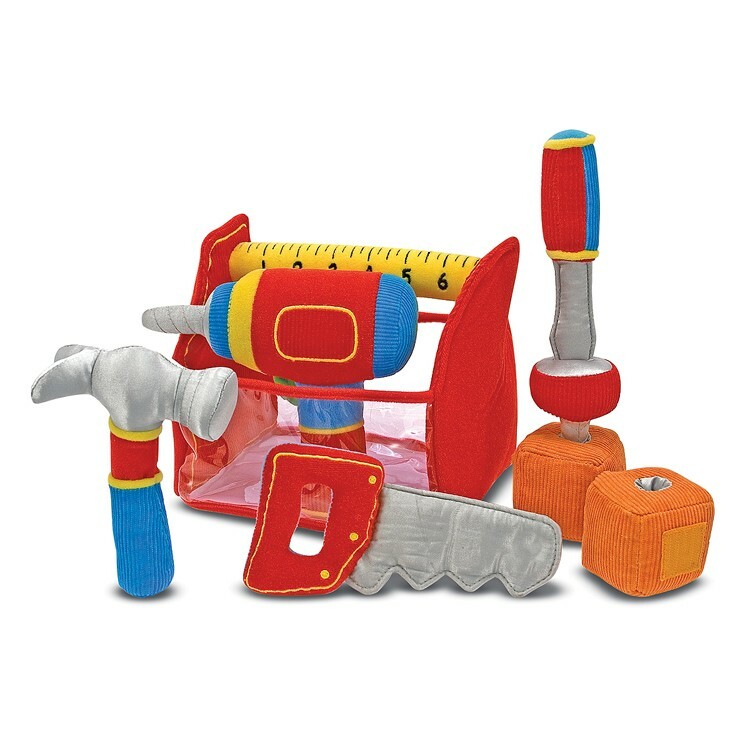 Use your toy hammer on the nails, the plush screwdriver to fix the screws into the blocks, and be really handy with a pretend saw! 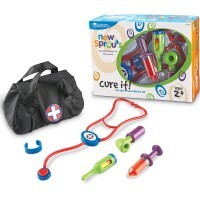 And don't forget your awesome drill; it even vibrates like a real one! 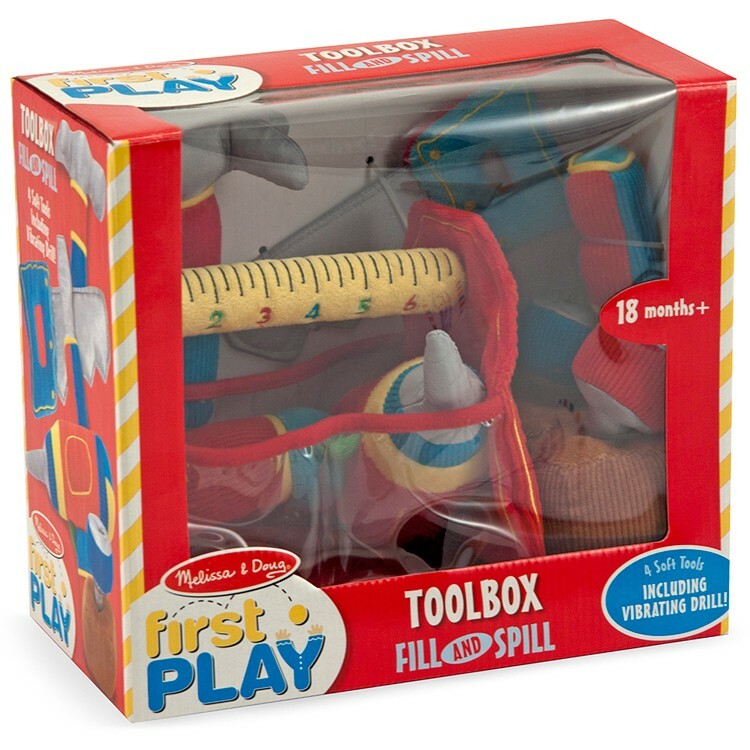 Toolbox Fill and Spill develops the necessary motor skills your toddler needs and it's so much fun to play with! 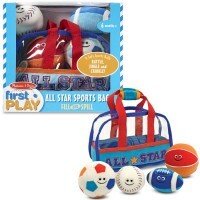 Grab it by the soft ruler handle and take it along on a play date. 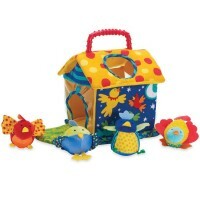 The toddler tool set is made of the quality fabrics and phthalate-free plastic. 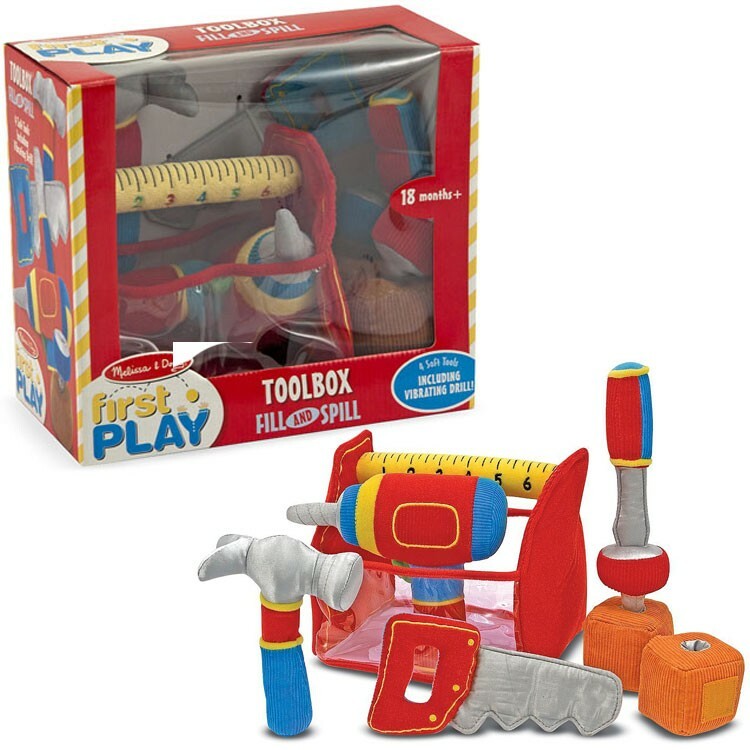 This first tool playset from Educational Toys Planet will bring tons of pretend play fun for babies and toddlers. 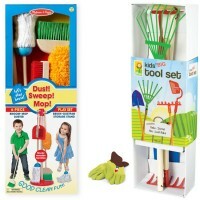 Write your own review of Toolbox Fill and Spill Baby Soft Toy Tools Set. 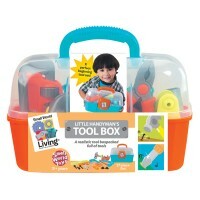 Rating: 5 Toolbox by Me It is a birthday present. He hasn't seem it yet. But my sister and I opened it up and played with it. 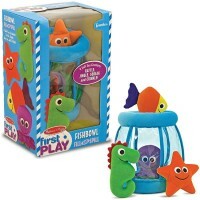 I would recommend this toy. 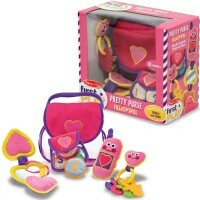 Rating: 5 Cute and fun by Jessica G Kids love to play pretend and your little one will enjoy pretending to "fix" things. 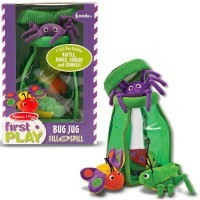 This toy is also ideal for toddlers ages 12- 18 months who are in the "fill and dump" stage. 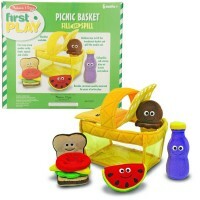 They love to take things in and out of other things and carry things around in bags or other containers. 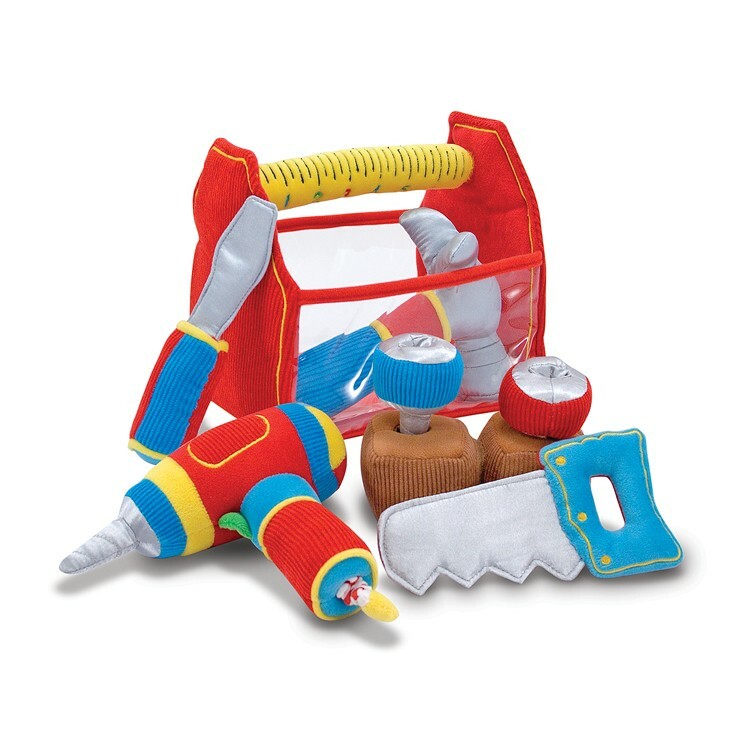 Your little one will be ecstatic about playing with their soft tools and you will be glad to know that each soft piece is totally safe for your toddler's hands, mouth and so on.